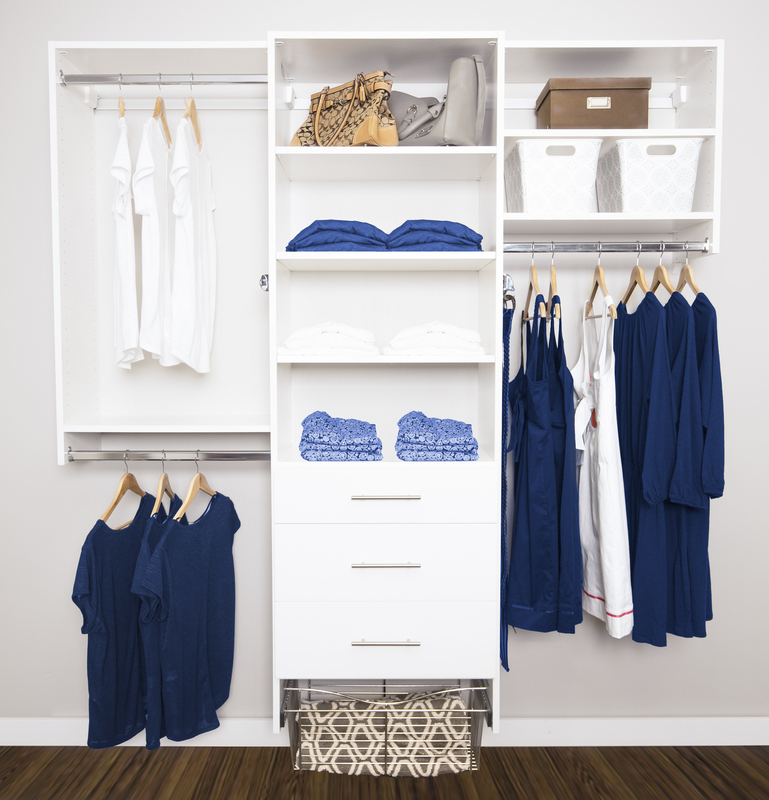 Specialty storage covers a pretty big area but essentially for the team at Sunburst Shutters and Closets it means all the storage spaces not dedicated to clothing footwear and bedding. 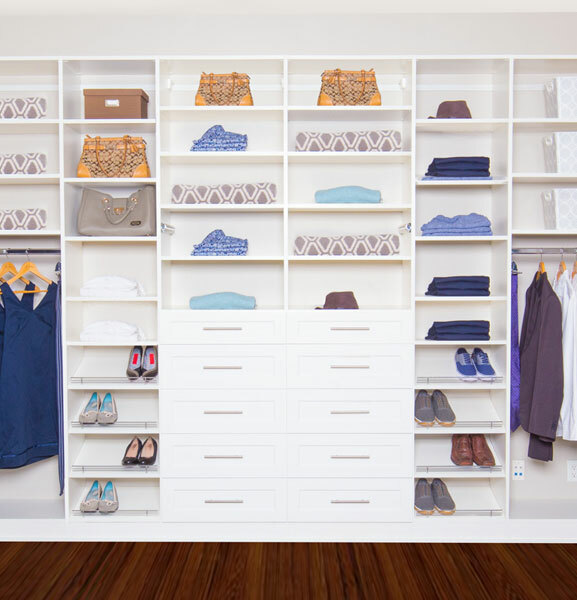 So projects like redesigning your garage to optimize storage space, building your dream pantry or perfecting your home office are all included under specialty storage solutions. For the Garage Enthusiast, Sunburst offers a wide variety of custom designed solutions that are functional, attractive and strong enough to hold up the often significant weight associated with tool storage, power tools, bikes, skies and sporting gear. Our team will work with you to design and select the optimal solution of cabinets, storage bins, drawers, specialty racks and custom features you want – maybe a TV to watch Youtube instructional videos while you work on your project. We are experts not only at the design and layout but in selecting and implementing durable materials and top quality components to ensure your garage is not only beautifully laid out but performs for years to come. Once you have developed an appetite working in your amazing garage, its time for a snack, a drink or a meal. A kitchen pantry designed by our team of experts is the perfect enhancement to your kitchen and daily living routine. The pantry needs to be a place of organizational excellence. Easy access to your cooking implements, cleanly laid out areas for baking goods and equipment, easy to reach wine racks and safe placement of flatware, plates, pots pans etc. are all elements we will help your build into your pantry. It will not only look great, but it will also help your entire kitchen routine flow as never before. Your home office may be your primary place of work or just an occasional work spot that doubles as a guest room. Either way, our team can help you explore storage options that will improve its attractiveness, functionality and even productivity. We will help you figure out the right combination of custom bookshelves, cleverly integrated counter space, useful desk area and ergonomic placement for electronics, printers and computers. Based on your needs and our extensive experience, we will install easy to access storage cabinets designed to keep supplies and paperwork out of site and the office space organized and clean. Specialty items are part of the solution too; need a murphy bed; we can integrate one into the solution to make sure your unexpected guests have a comfortable place to stay. Our design team’s well-earned reputation for attention to detail, use of top quality components and material, and almost magical ability to maximize storage space make specialty storage projects a thing of wonder. Give us a call and start your journey to storage space nirvana today! You will be glad you did!